On March 8-9, 2018, I was fortunate enough to be invited to workshop themed “Science, technology and public value”. The workshop was organised by the Biotechnology and Society Research Group at King’s College, London. One of the key questions of the event was “How could we govern technological innovation to ensure that it meets public values and creates public goods?” to that question, additional ones followed, like: What are public goods? Is it jobs, social security, access to health care and education, privacy, safety, or? Who decides what public goods are worth pursuing, and how does science and technology contribute? What are the spaces that exist for democratic engagement within existing democratic systems? Are national and supranational ambitions for economic growth at odds with wanting to govern science and technology towards meeting societal needs, and are they at odds with our democracies? What role do experts, scientists, industry, business, politicians, publics, and our governmental institutions and societal cultures and norms play, and what role should they play? 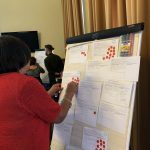 While I did not come away with many answers, I did walk away with a sense of the directions in which researchers, and practitioners, such as myself, can work together to find solutions to the questions posed in the workshop. One direction, worth pursuing would be to evaluate existing methods and spaces for democratic engagement. What are the places where we meet to speak about our common future? What are the methods we use for organising interaction between e.g. scientific experts, policy, industry and publics? What methods should we use, and in what context? 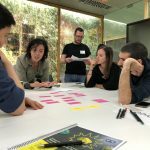 What sciences and technologies would require us to set up dialogues with many stakeholders, including publics, to discuss their contribution to the public good? When and where would it be best to have such conversations, and how can we make sure all participants are heard? Could we develop indicators for good engagement, and for impact? Another direction would be to find a way forward, where powerful industries and businesses, like Facebook, Google and Amazon, see the added value of engaging in discussion on their role in creating public goods, and in supporting our democracies. One idea would be to work with such companies in developing business models, where a for-profit ambition is aligned with working for societal values and public goods. Finally, a conversation could be opened with organisations supporting research, like public and private organisations and foundations. How are decisions made on what types of research and research questions are worth-while pursuing? How are funding organisations thinking about the connection between scientific, technological and societal development? 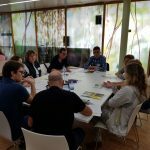 How could efforts to build in responsibility and attention to societal needs in research and political and business decision-making processes be strengthened (a research and policy agenda often referred to as RRI)? 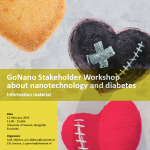 As a project, GoNano is trying to make sure public values are included in the research and innovation process of nanotechnologies. However, should anyone decide to develop or patent the product suggestions produced though the co-creative process of our project, the citizen’s contributing their knowledge would not receive any reimbursement for their work. 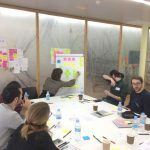 The question is if the GoNano solution is better than letting innovation processes with no participation of publics, or if publics should be reimbursed for the knowledge they would contribute to co-creative research and innovation processes?